We suggest you have a read of ytravel blog, Seana Smiths blog on What to do in Bathurst with kids, and/or kidbucketlist.com.au/ before you visit for some great ideas. Car hire? Why not travel to Bathurst via Public Transport then hire a car to see our local area. Car Rental Buddy will compare rates for car hire in Bathurst. What to do between Farmstay activities to keep the kids happy? Victoria Park, next to the hospital has a fantastic adventure playground. Free plus picnic areas. Mt Panorama – No visit to Bathurst is complete without a lap or 2 of our famous racing track! Just don’t be tempted into thinking you are a racing car driver – police regularly patrol the track checking on would be racing car drivers! The views from the top of the mount are superb and there is a great playground in McPhillamy Park up on the skyline. Picnic facilities and toilets. The Motor Museum at the start of Mt Panorama Circuit. The Mineral and Fossil Museum with a real Dinosaur Rex skeleton for the kids to marvel over. Right in the centre of town. Ben Chiefly Dam. In warmer weather free swimming and other motor sports. Playground and picnic facilities. Room to run! Great views. Abercrombie Caves – about 1 hours’ drive south. Self-guided tour available, plus guided tours. Check the website for times. Check out Grove Creek Falls just a little further along! Aquatic Centre, if you bought your togs – Year round swimming, whirlpool for the kids, café. Village Drives – Especially Sofala, Hill End, Rockley. O’Connell or Tarana. Both have great little café’s (and pubs) open at weekends. Oberon , Mayfield Gardens is simply stunning, café on site. Millthorpe – “yuppy” shops/art and delicious cafes. Check for opening times! The Old Mill Cafe has to be tasted to believe how good their deserts and other food is. Historic Houses including Abercrombie House, Miss Trails House and Ben Chifley’s House. During school holidays there are often “ghost tours” of an evening for families with super included at Abercrombie House. We have some very special small boutique wineries in stunning locations. – Probably best enjoyed without kids! – Ask about babysitting. Cellar Doors tastings available most weekends and via appointment at – Vale Creek Wines, Renzaglia Wines, Mt Panorama Wines, Winburndale Wines and Mt Panorama Estate. Why not take a 6 day (minimum) round trip holiday from Sydney? 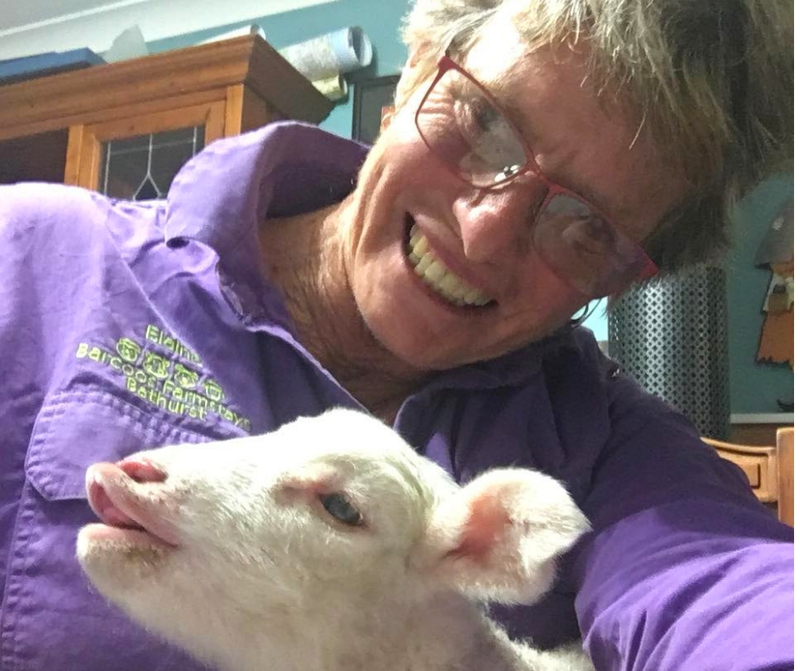 Come & stay at Barcoos Barn Farmstay for a couple of nights – travel out to Dubbo via Cumnock & Yeoval enjoying the Animals on Bikes Tourist Drive, visit Taronga Western Plains Zoo Dubbo, and stay for a couple of days. Then return via Ba Mack Farmstay at Windeyer via Mudgee for another interactive Farmstay experience on the way home. Ba Mack Homestead & Barcoos Barn Farmstay find a lot of guests travel via our NSW Farmstays to have a hands on/get involved visit on their way to Dubbo to visit Western Plains Zoo – The idea of a round trip through some awesome countryside that adds up to a complete holiday without too much travel involved is a ideal suggestion for families that love animals. Many guests stay at the Bulwarra B&B or BIG 4 Caravan Park at Dubbo – It is near the Zoo and has a great reputation. Barcoos Farmstays Bathurst highly recommends these other interactive Farmstays – Members of NSW Farmstays. A group of Farmstays working to-gether to promote interactive, fun experiences on farms in NSW. We recommend Farmstay Camping Australia as a fantastic website to find other great Farmstays and Station Stays throughout Australia.